Make First Grade Learning and Spelling Fun! First grade learning and spelling can be a bit overwhelming. There's so much to cover! 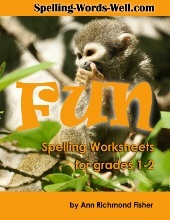 Especially for students who have to work hard to learn spelling, why not make it fun? 1. Spell silly words aloud together. When you ask kids to try to sound out silly words, even if the words aren't on their official spelling lists, they'll still be learning and thinking about sounds. Try words like buzz, pickle even silly. 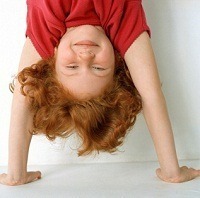 If the silly word is really long or difficult, be affirming even if the child gets just the consonants correct. 2. Point out words on signs and billboards as you travel. Look at words in commercials when you watch television together. Taco Bell is not very difficult, nor is Got Milk? Kids think it's cool to learn words they see everyday, outside of the classroom. 3. Give kids lots of hands-on ways to spell. Think Scrabble tiles, wooden blocks , plastic magnetic letters, and letters cut from newspapers and magazines. Kids can arrange and rearrange letters. That's a lot more fun that writing and erasing and rewriting as kids are learning. 4. Make up spelling songs as you work together. Then add a beat and ask Joey to repeat it with you. Now that's FUN! 5. 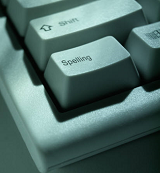 Allow your child to type spelling words on your laptop. It feels grown-up, i.e important, to do real stuff on a computer, and not just play games. Or, ask her to type a sentence or two from a note that you've written for her. As you already know, you must know how to spell a word to be able to type it. First grade learning and spelling is a huge task, but it also can be FUN! 1st grade sight words - These 40 Dolch words are the most important words for first graders to read instantly and spell easily. We also have the complete Dolch Word list for preprimer through 3rd grade levels. 1st grade spelling word list - 200 spelling words of all types for your first grader to learn: short vowels, long vowels, sight words and more. 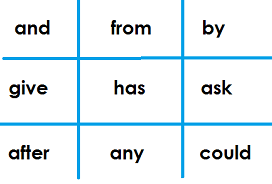 First grade spelling words: Short vowels - 100 Words with short vowel sounds, arranged in word families. 1st grade spelling lists: Nouns, verbs, colors and numbers - The "extra" words 1st graders need to begin to write. Here are just a few of the games, worksheets and activities on our site. Use the tabs on the left to find more! Here are just some of the games you'll find in our Sight Word Games collection. These games will show you and your students that learning the basics can be fun! Sight Words Printables - Two super-fun pags that provide practice with color and number words. 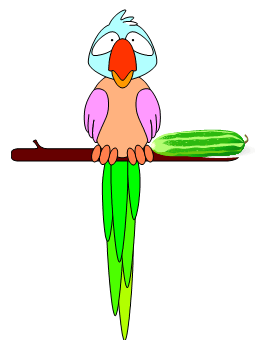 Literacy Worksheets for Early Learners: 3 fun reproducibles your kids can customize. Visit our collections of phonics activities and phonics worksheets for more helpful resources. 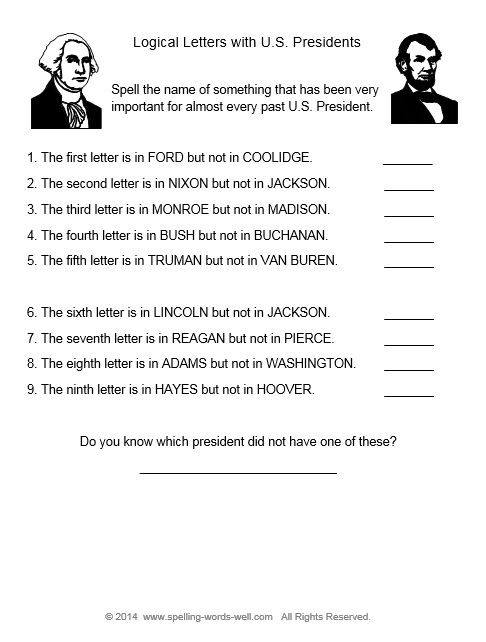 Many of our spelling word games and spelling worksheets are just right for first graders, too!